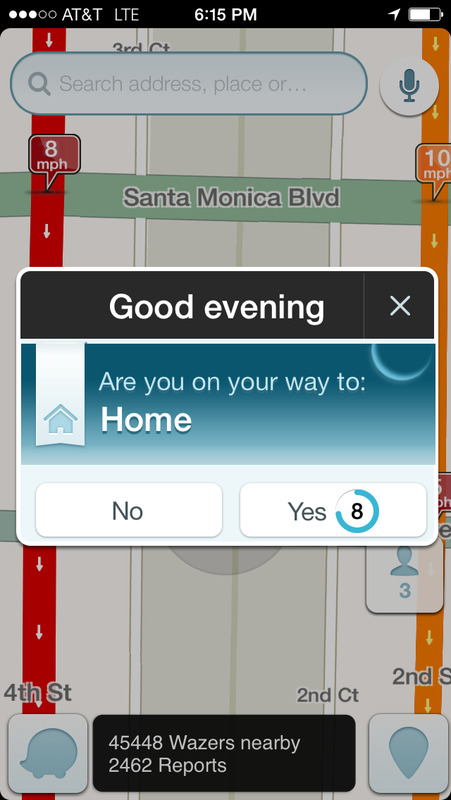 Alright Waze, you just put a smile on my face. This simple question makes my life that much easier when leaving home, a very nice UX choice. Especially since there's a LOT of red on the map the whole journey. Thank you for knowing my schedule so well and for combating LA rush hour traffic.